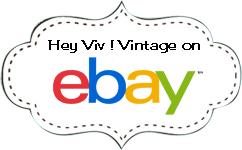 50s Retro Pop Beads Variety Fun Pack - 1 Bag Each Rainbow, Pink, & White Beads from Hey Viv ! Pack of 3 bags, one each of Rainbow, Pink, & White. Each bag has a reclosable zip top. Remember these? Pop Beads ! Also called Pop It Beads or Snap Beads. Make a necklace & matching bracelet, take it apart, and start all over again. Popular in the 50's, these beads are a fun accessory to add to your fifties look. Each bag is enough to make a few necklaces and bracelets of varying lengths (each photo shows a single bag popped together). Each Variety Fun Pack includes three bags of pop beads--one each of Pink, White, & a Rainbow assortment that includes bright pink, orange, yellow, green, blue, and purple. These beads are fun to play with and wear for kids & adults alike.